It was after her youngest son was diagnosed with learning disabilities and attention issues Beth McGaw became an outspoken advocate for children with learning disabilities. Beth co-founded the Atlanta based, Kids Enabled Magazine in 2006 and led the conversion to a nonprofit in 2008. After moving to Dallas in 2010, she received her certification in Nonprofit Management and in 2012 Nonprofit Marketing. In 2012, McGaw was elected to the LDA Board of Directors and currently serves on the Executive Committee, Co-Chair of the Communications Committee and Coordinator of the Marketing Committee and Adult Topics Committee. Although Beth started her career as an Industrial Engineer, she pursued her passion for education by obtaining a M.Ed. from the University of Missouri-St. Louis and later worked as an online facilitator. In 2014, Beth attended the Independent Educational Consultants Association (IECA) Summer Training Institute. Her practice will focus on helping families and students in the area of LD/ADHD/Autism Spectrum Post Secondary Transitions. In 2015, she joined Dallas-based LaunchAbility to help build a Transition Services program which will offer group services to help build skills for post-secondary options such as college or employment. 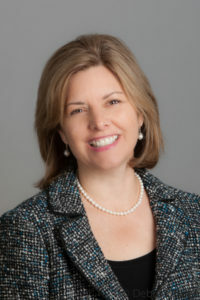 In 2016, Beth started her Independent Educational Consulting business, LaunchPad Consulting Group, which offers services to individuals and their families bridging the gap between high school and post-secondary education as well as explore options for potential employment and coach students in their academic endeavors and life skills. Beth currently resides in Dallas, TX with her husband Steve. She has three boys, two of which have left home to pursue their careers, one on each coast. The third is on his way to launching as a young adult and pursuing his dream of graduating from college. Stay tuned.